You’ve never had Share Ride like this! We’re still your friendly, safe airport and private transportation service, but now we’ve added high-end business class and luxury choices for your comfort. Plus, enjoy service provided by our professional chauffeurs who are fully-insured, background-checked, drug-tested, and completely vetted for your safety and peace of mind. 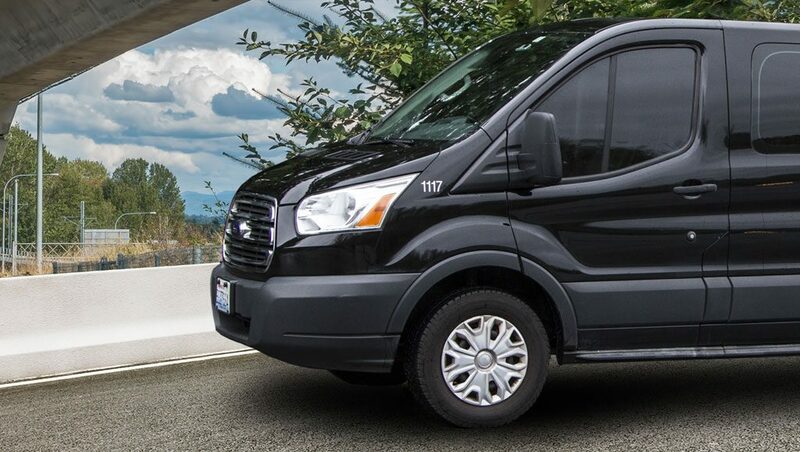 Shuttle Express Airport Share Ride is a safe, affordable, and more comfortable alternative to a taxi, and now you have our luxury options, too. Share a luxury car or SUV to the airport? That’s a thing! It’s a Shuttle Express option we created with your comfort in mind. And, Share Ride saves you money with multiple-rider rates and great family fares―kids 2 and under ride free, one for each paying adult. A reservation is required for trips to the airport. When you book your ride to the airport, your pick-up time is based on the TSA’s recommendation that you arrive at the airport at least 120 minutes before your flight. 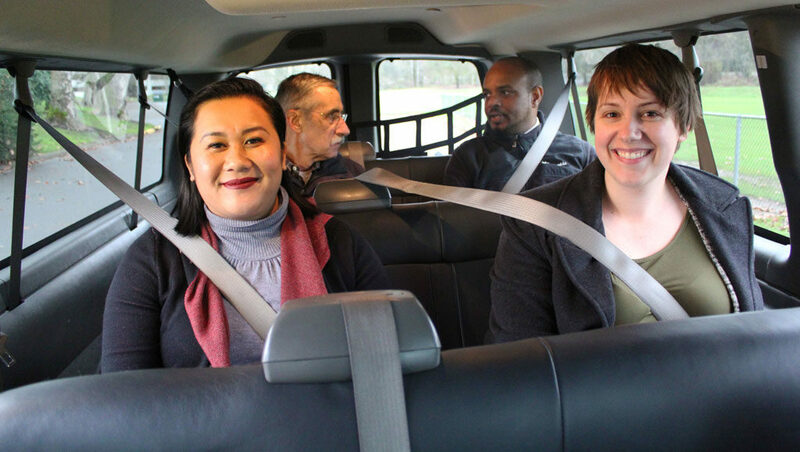 We’ll give you a pick-up window of 20 minutes before―you can expect your driver to arrive any time within that window. This allows for extra traffic and weather conditions. For example, if your pick-up time is 10:00 a.m., your pick-up window is between 9:40 a.m. and 10:00 a.m.
For trips from the airport, our service and fares are based on multiple stops. Because passengers arrive on different flights and times, our departures from the airport usually aren’t immediate. Instead, we group guests going to the same area. Our goal is to get our guests on their way home within 30 minutes. Booking your trip from the airport in advance helps us plan how many vans we’ll need. NOTE: For all Hawaii-bound trips, please book as an International Flight to ensure you have enough time to make your flight. Bringing Extra Luggage or Boxes? If you’ll be bringing extra items with you to the airport, like golf clubs, a bike box, or large items that go beyond the standard two pieces of luggage allowed, call us and let your reservation agent know. Because you’ll be sharing a van with other passengers, your extra items will be subject to additional charges if they fit. If they don’t fit, we may not be able to serve you. So, tell us about extra items when you book your trip and we will do what we can to accommodate you. Chauffeurs undergo ongoing safety training.